Could not resist and decided to give it a try. The main thing I was worried about is taste. Original (Traditional Oat) flavour did not sound too promising. But when I tried it.. I was just AMAZED, I absolutely love the taste. Hard to explain, but it's like mix of cake and cookies (and I love both). And it also has 20g of protein per bar, which is great. You can really ENJOY 20g of protein whenever you need it. The only down side (my personal opinion, don't have much experience with bars) was the size of the bar. It is SLIGHTLY bigger than you expect from 80g bar. Bar size is approx. 9x6x2 cm. Overall I'd give it 4.9/5.0. Definitely buying more after I finish my 4 boxes. Highly recommend these! Far too much sugar in them. Look nothing like the picture. Hugely inconsistant - one box could be soft and almost like cake mixture in taste and texture. Another box could be hard and powder like. Also gives me a bad stomach and i'm not sensitive to high protein. 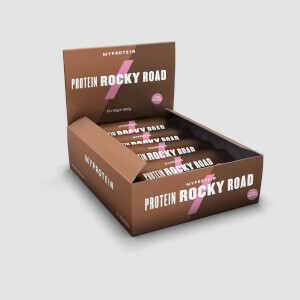 These are actually soft and slightly moist which is a nice change from other protein bars which are usually really dense and dry. The taste is good and not cloying, again, like most other protein bars. I can't give it 5 stars because it has palm oil in it which isn't great. Best protein flapjacks I have tried, and I did try many different brands. Good macros and great taste! These bars taste great but very high in calories! They have a good amount of protein and do taste great. Chocolate chips by far the best protein bar/flapjack ive ever tasted. Really impressed with these flapjacks, great flavour and full of protein. Great before a work out. Loved these very tasty and filling,very popular with my members. I've tried about 20 or so different high protein flapjacks and they all have one thing in common and that's to much artificial sweeteners and flavorful as well as that dry protein taste. These flapjacks I've ordered several times now and still can't get over that they are a high protein flapjack as they taste just as nice as any normal low protein high sugar flapjack and having a sweet tooth they are by far one of the nicest flapjacks I've ever had. The big bonus unlike most flapjacks that are very high in sugar and fat and low in protein,these are a high protein flapjack (not that you would be able to tell the difference) and much lower in fat and sugar than any normal flapjacks that I've ever had even my home made ones. So if like me you do have a sweet tooth but are on or needing a high level of protein I would definitely recommend these. Even if your not looking for a higher protein flapjack I'd still recommend these as they taste great, much healthier than other flapjacks and probably much better value for money than most other flapjacks. Great if your in a rush and have one of these for breakfast as much nicer and better for you than a piece of toast or missing breakfast all together. 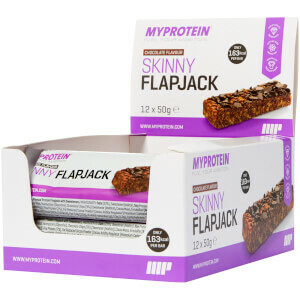 A good size, great taste that you can have any time of the day and if your watching your calories,on a high protein diet/needing more protein or just have a sweet tooth then I would recommend this flapjack over any other flapjacks or protein bars. Also great for a pre-workout snack.